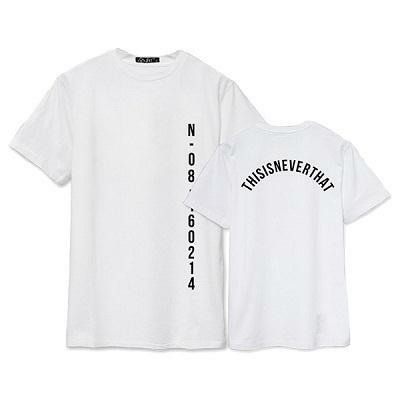 Finding the coolest KPop merchandise was always a big task to accomplish for a demanding fan with less to spend than you would like to have. That’s why we decided to create this site to help you find something affordable, interesting and worth purchasing. Since we’ve started three years ago our main purpose was to deliver you the most awesome selection of KPop items available online. During this time we reviewed tens of items from music albums to apparel. We constantly seek for the best opportunities on various shops and websites all over the internet. We found original products from the official manufacturers and those from ordinary fans like you or me. All conveniently gathered here and ready to be discovered by our users. 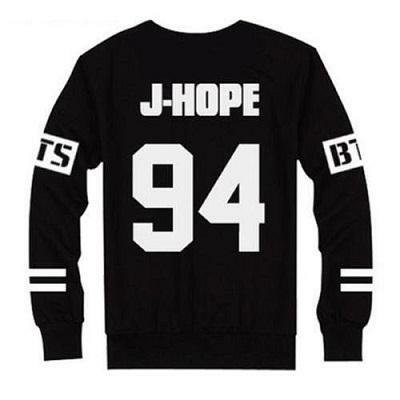 Bangtan Boys - The group consisted of Jin, Suga, J-Hope, Rap Monster, Jimin, V, Jungkook are the favorites of astonishing 48% of the users of KPop Merchandise World. This is another achievement for a group that is considered the biggest stars in the Korean music history. This just proves how strong Bangtan Boys look in the eyes of the international fans. 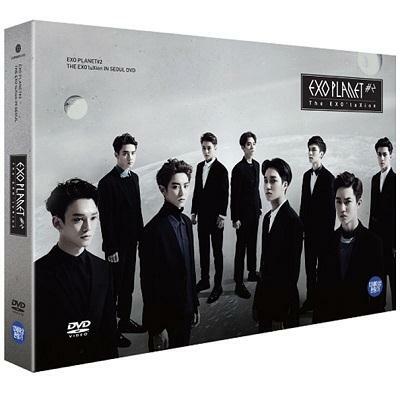 EXO - The second place belongs to EXO with 26% items purchased by the fans. The boy group currently consists of Xiumin, Suho, Lay, Baekhyun, Chen, Chanyeol, D.O, Kai and Sehun. They are known to be one of the most popular group ever since they debuted under SM Entertainment. Their strong position in this list shows that EXO are constantly one of the most beloved and respected Korean groups in the world. GOT7 - The third boy group here on the list. The 16% of products reviewed on the website belong to the group from JYP Entertainment. The members are Mark, JB, Jackson, Jinyoung (known at the beginning as Junior), Youngjae, BamBam, Yugyeom. 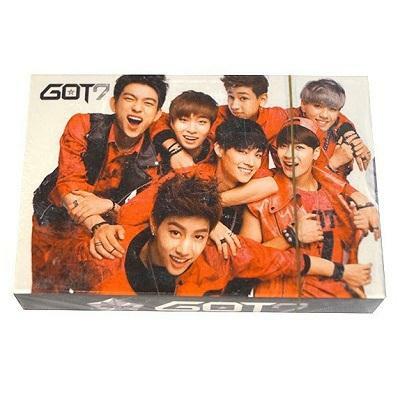 Since their debut in 2014 GOT7 sold hundreds of thousands albums and other merchandise from their official collection. 10% belongs to all other KPop groups including Seventeen, SHINee, NCT, Big Bang, Twice, iKon, Winner, Infinite, Monsta X, B.A.P and many others. As you can see the majority of the items we review are connected with these three groups. The answer for this question is kind of obvious. If you didn’t figure it out by now we will tell you. The most popular KPop merchandise are music albums that people enjoy to collect. 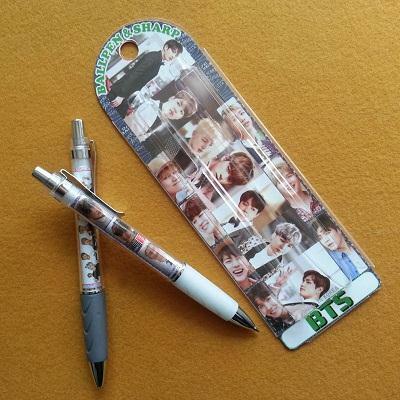 This is a must have thing for every fan of Korean pop music. You can live without everything else but not without it. The people are willing to spend for a particular album much money more than it was sold for initially. The best example is the album The Most Beautiful Moment in Life Part 1 and Part 2 by Bangtan Boys that wasn’t available officially for months. You could only get it for a higher price from second-hand shops. 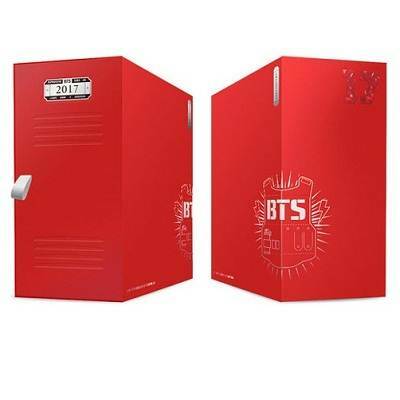 Music albums – Mainly by groups like BTS, EXO, GOT7. One of the most sold albums is BTS's Wings that was bought almost one million times. 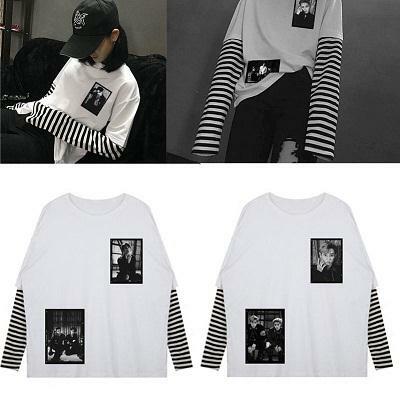 Apparel - The clothing is the second most desirable type of products that the fans want to have. 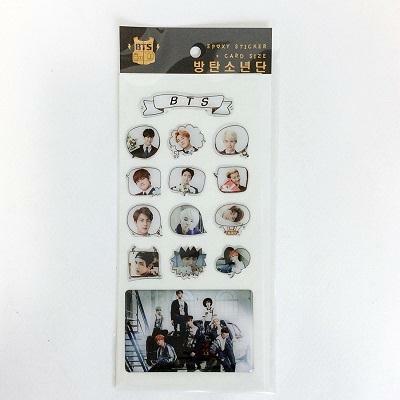 You can easily find hundreds of them with the logo of your favorite group. 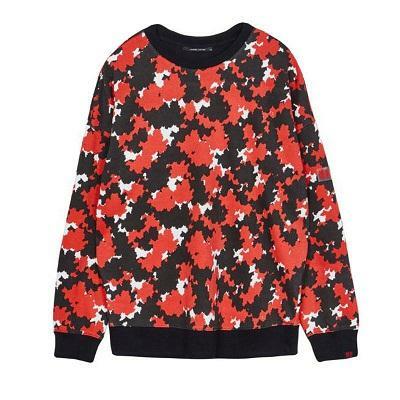 The most purchased items are sweaters, pullovers and hoodies. Then comes jackets and T-shirts (short and long sleeve). 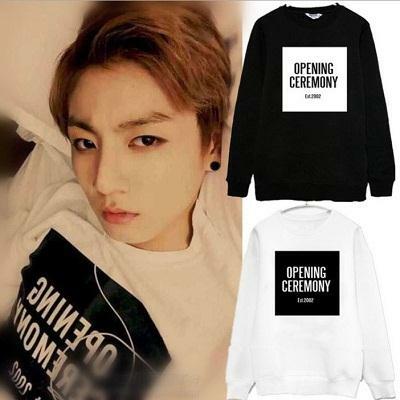 The fans are likely to buy also backpacks, sneakers and dresses. Jewelry - Since the majority of the fans of the groups mentioned above are girls the third type they will purchase is jewelry. KPop logo necklaces are the most interesting ones. We can't of course forget about necklaces all kind of rings like EXO Official Ring. 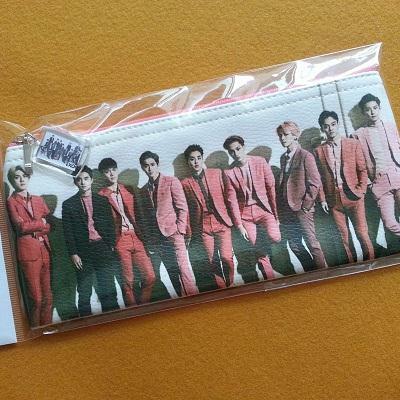 Accessories and other - For example key rings and pencil cases, wallets and cushion covers. 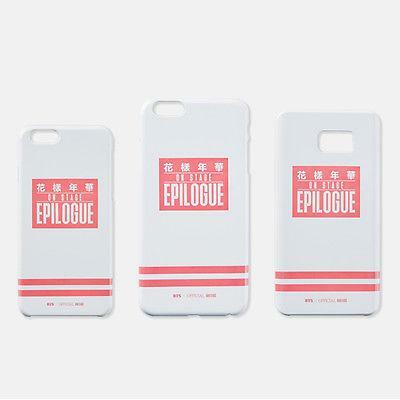 The item that people often bought are smartphone accessories like cases and earcaps. Books - The numerous works written by some popular authors are a great source of knowledge. We would like to present another list. This time it's 5 best selling products that we reviewed. 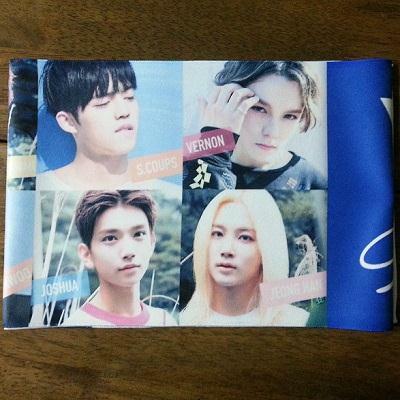 The first part is about the official merchandise and the second talks about fan made goods. 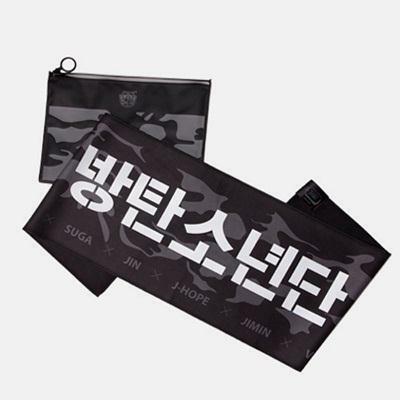 The official items are distributed by the companies that the KPop groups belongs to. 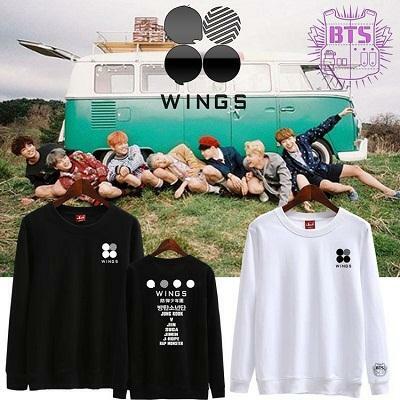 Often the whole line of merchandise is released like BTS's Hip Hop Monster collection from Big Hit Entertainment. 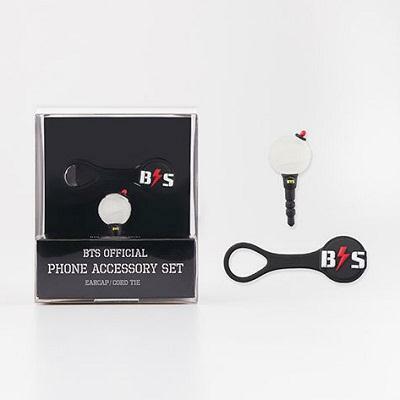 Sometimes you can get the official stuff only at a special places like SM Entertainment's Coex Artium store. Nevertheless we present a list of 3 items that were a big hit here during the last three years. 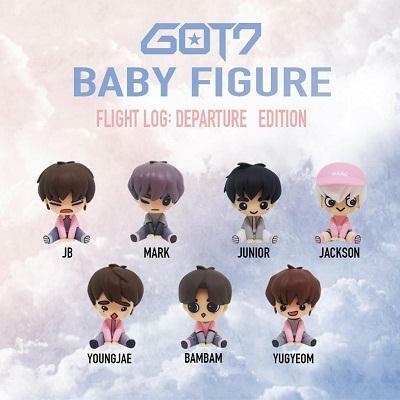 GOT7 Fly In Seoul Baby Figure released officially by JYP Entertainment. This was a figurine or toy that was extremely popular among the fans and was almost immediately out of stock after the release. 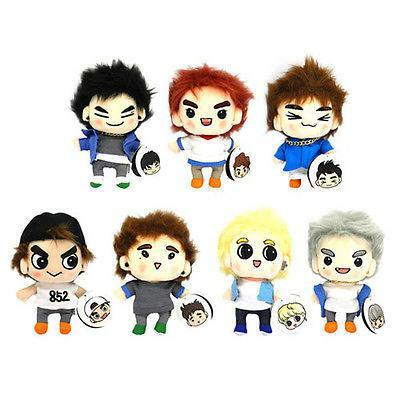 You're lucky if you can purchase the figure of your favorite member by now. Bangtan Boys' Light Stick often called ARMY's bomb is a must have item for the concerts. EXO Official Necklace is made of brass and is based on Swarovski crystal. It is a great piece of art for a fan of every EXO member. The unofficial items (called fan made) are often more affordable than the official. The advantage of these is that you can have a solid and well made product for a very decent price. This is a perfect solution for someone who doesn’t have a big budget. The winner in this category is a set of photo cards with every KPop group you can think of. 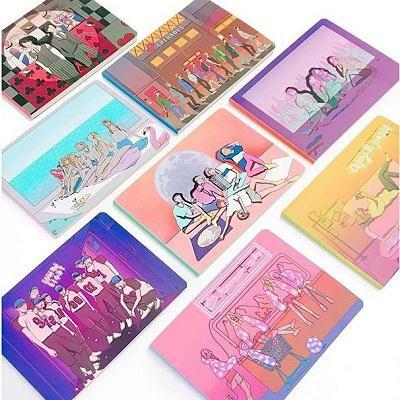 Mini Postcards Set is a set of 56 postcards that is available for a fan of many groups like BTS, EXO, GOT7, A-pink, Twice, GFriend, SHINee and many more. It is a very affordable piece of merchandise that will please everyone. This is the most purchased item off all presented on this website. 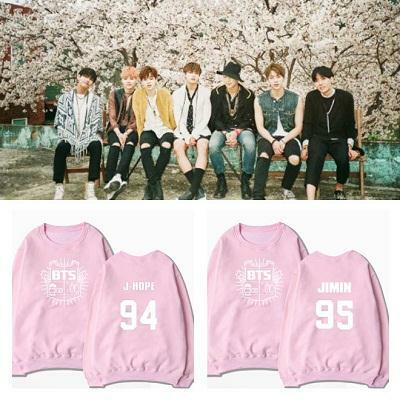 BTS Baseball Jacket is one of the most popular product here the most purchased piece of fashion. 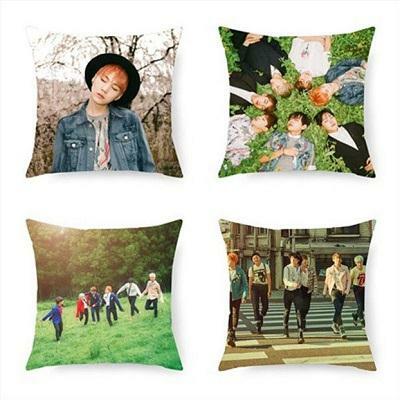 It's desirable by many fans of Bangtan Boys and KPop in general. The price is indeed very convincing. 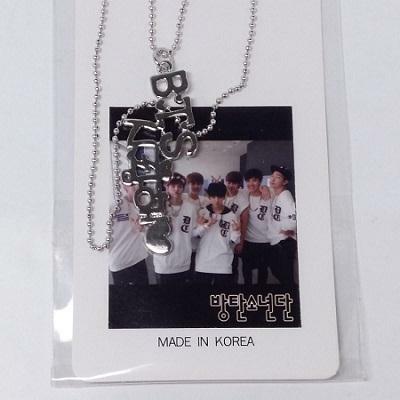 KPop Necklace can be bought for a very good price. It's the most basic item that you can get and the most personal. There can be no better way to manifest your love for your favorite band. The decision whether to get something original of not is yours. It all depends how much you're willing to spend and if the official merch for a higher price is worth buying. After all this time we still want to make our users - a KPop fans - happy. 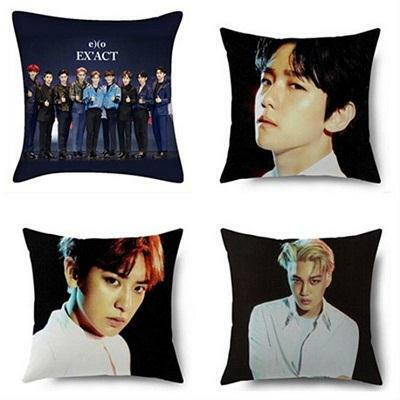 ConclusionWe still want to provide the best possible selection of KPop merchandise that will satisfy all of the people that supported us throughout all these years. We hope that this text was very informative and that you enjoyed it. We will see you again soon.